O’Shea Jackson Jr. believes he knows which movie is going to reach number one next year. It’s a film he stars in next summer alongside Vera Farmiga, Millie Bobby Brown, Kyle Chandler, and many other fine dramatists. And though the actors will most likely portray their characters in a skillfully moving fashion, there is another huge reason this film will probably be a smash. The reason people are going to buy millions of tickets is that the film boasts upgraded versions of sci-fi titans first designed over 50 years ago. Mothra. Rodan. King Ghidorah. And of course, Godzilla. 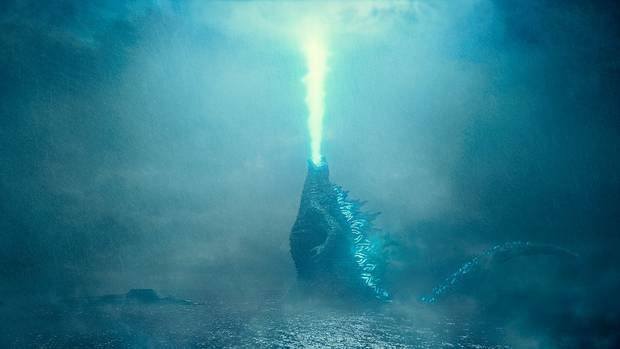 Legendary Pictures dropped its first trailer for Godzilla: King of the Monsters at this year’s San Diego Comic-Con. The sequel to the 2014 blockbuster sci-fi reboot is sure to please kaiju fans the world over, and if visuals are any indication, it could mean that Legendary’s Monsterverse may well become as popular as the MCU and the DC Cinematic Universe. Rodan is a volcanic god, a living volcano in the shape of a pterosaur. He looks powerful beyond belief. We don’t get a close glimpse of his face, but his wingspan, his armor, and even his triangular tail demonstrate that these new designs are sticking remarkably close to the source material. First featured in the classic 1956 Toho film, RODAN, this monster subsequently appeared alongside Godzilla in all three original eras: Showa, Heisei, and Shin-Sei (New Millennium). The special effects in the first Rodan movie were very good for their time, but now that CGI has become the unbelievable world-maker that it now is, the creature is being rendered in the way he was originally intended—a gigantic monster jet plane that can fly faster that Mach 5 and level entire cities with just one wing-beat. Based on some of the shots in the trailer, it’s clear that ancient man once worshipped these kaiju. Dr. Serizawa and company explore an underwater cavern (Atlantis? The lost city of Infant Island?) depicting massive murals of the monsters. The one perhaps most deserving of human adoration (rather than paralyzing fear) is Mothra. This is because the colossal, magnificent butterfly is easily the most beautiful creature in all of creation. Her wings spread widely as a gorgeous bio-luminescence lights up the insect’s entire body. She may also be the kindest of the kaiju—in one shot of the trailer, it appears as though Brown and Farmiga are petting the giant head of a Mothra caterpillar. Mothra first appeared in her own movie in 1961, and like Rodan, has been both a friend and a foe to Godzilla for many films spanning half a century of cinema. Perhaps the most exciting aspects of the trailer are the shots of King Ghidorah. We see the three headed ruler of the dragons quite a bit—once frozen in ice, once as one of his ugly heads peers down at Millie Bobby Brown through a window, and a final time as his dark silhouette raises his three heads in foreboding unison. We don’t see too many specific details, and that’s what makes this trailer so amazing. The first Godzilla from Legendary Pictures did a similar thing with its trailers, expertly revealing just enough monster mayhem to get the viewer excited, but not so much as to give it all away. 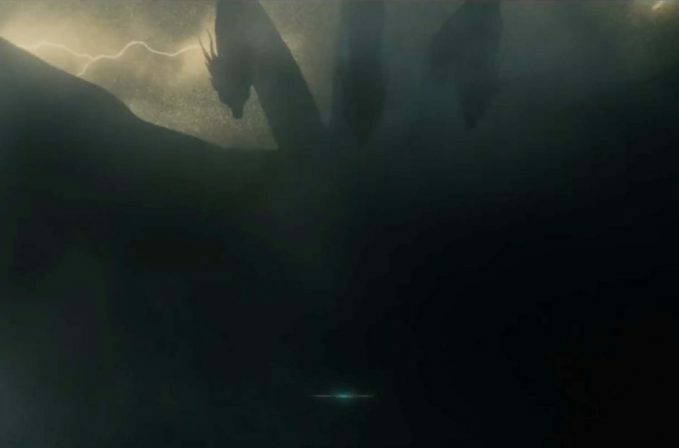 When O’Shea Jackson Jr. said in his interview with Collider that King of the Monsters would be epic, his specific reference was to King Ghidorah. He seems to be right on the money about that. The monster looks more gigantic than ever. Just from seeing a digitally rendered monster on a computer screen, one can almost feel that the earth itself is shaking in tumult. King Ghidorah first appeared in 1964’s GHIDORAH: THE THREE HEADED MONSTER, one of the best movies in the whole Godzilla franchise. It’s also the film this new sequel seems to be based off of. Both films feature the exact same monsters, with Ghidorah being the primary villain in the original version. It seems likely that Godzilla and the other monsters will all team up to drive the dragon from our planet once again. Godzilla will always be the king—one of the best designed monsters in all of sci-fi. Legendary’s version is a towering behemoth of pure terror, just as he was in 2014. In the trailer, we see terrified scientists watch as his spines charge with radiation. We see him shoot his atomic breath straight up into the sky. And, in one of the clip’s best moments, we see Brown’s character standing amid destruction, looking upward with a smile on her face. The next shot is our scaly king roaring triumphantly. Could this signify some sort of monster/child friendship, ala the Gamera movies? We’ll find out next summer. All that’s really known about the plot is that the monsters have awoken to wreak havoc upon our planet. Which monsters are good and which ones are evil isn’t known at this point, but the trailer gives us a few clues. Explosives are set off at Rodan’s nest, a volcano, and Mothra is seen being held at some sort of facility. This could indicate that Monarch or some other organization has designs to wake up the monsters and force them to fight, perhaps even teaming up against Ghidorah. Also, Vera Farmiga has said that her character can control the monsters telepathically to some extent, so it will be interesting to see how this Battle Royale plays out. The music for King of the Monsters is being scored by Bear McCreary. The music used in the trailer is surprisingly uplifting for a movie with such dark themes (humanity is the infection upon the Earth, the world could be destroyed, and so on). We hear an epic rendering of Debussy’s Clair De Lune, and it works as an effective fit for a film of such majestic concepts and visuals. Godzilla: King of the Monsters will be released on May 31st, 2019. Are you excited for the latest addition to the Godzilla saga? Did you go nuts for the trailer? Let us know in the comments, and don’t forget to Let Your Geek Sideshow! Shane Smith is an author/freelancer who loves poetry, pop culture, philosophy, and dinosaurs. You can get to know him by reading his blog posts at Domain of Shane (domainofshane.wordpress.com). Detective Pikachu Moves to Warner Bros., Locke and Key Lands at Netflix, and More!